A Medtronic 630G, 640G, or 670G Insulin Pump. A Contour Next Link 2.4 Meter. Please confirm the back of your meter reads Contour Next Link 2.4. It’s easy to get this confused with other Contour Next Link meters because the text is light and the “2.4” is printed in small text. Please note: We do not work with the CareLink Stick 2.4 at this time - we only work with the Contour Next Link 2.4 Meter. Select “Medtronic 630G, 640G, or 670G (using Contour Next Link 2.4)” as your device. If your insulin pump and Contour Next Link 2.4 meter are linked, proceed to Step 3. If the pump and meter are not linked, uncheck “Meter and pump are linked”, and enter your insulin pump’s serial number. Connect your Contour Next Link 2.4 meter to one of your computer’s USB ports. Select the amount of data you wish to upload. 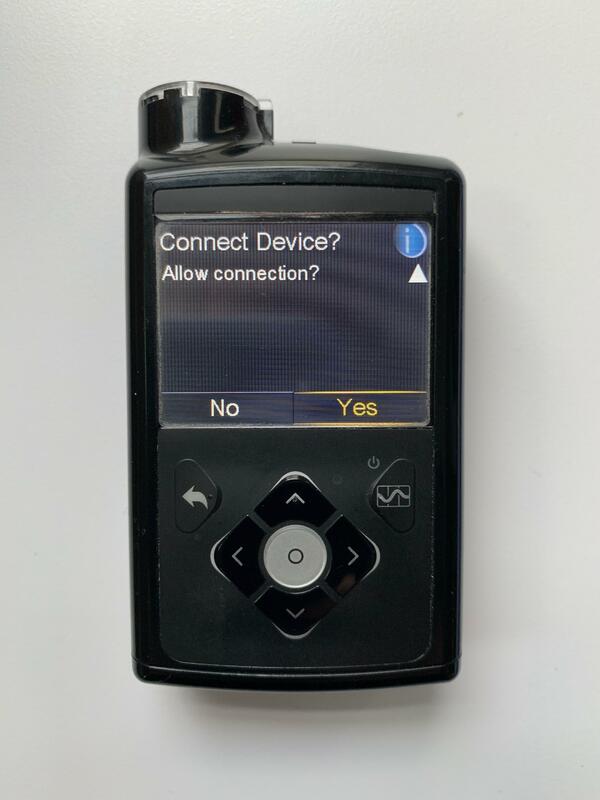 Please note: Your first upload of a Medtronic 630G, 640G, or 670G insulin pump, especially if your pump has lots of data on it, will take a little time. After the first one, future uploads will be much quicker. Tidepool Clinicians: Selecting "last 4 weeks" is recommended for initial uploads only. If you are using an unlinked meter to upload data, you will need to confirm the connection request on your pump before the upload can proceed. Select Yes to begin the upload. After your upload is complete, you can upload additional devices as needed, or click “See data” to view your diabetes data. Confirm you have downloaded the latest version of the Tidepool Uploader (Version 2.7.2 or higher). The version of the Uploader can be found in the footer of the Uploader window. You can download the latest version at https://tidepool.org/uploader or by selecting “Check for Updates” in the Tidepool Uploader menu. Disconnect/reconnect your Contour Next Link 2.4 meter if it has been connected to your computer for an extended period of time. Confirm the serial number you entered in the Uploader matches your Medtronic 630G, 640G, or 670G insulin pump. 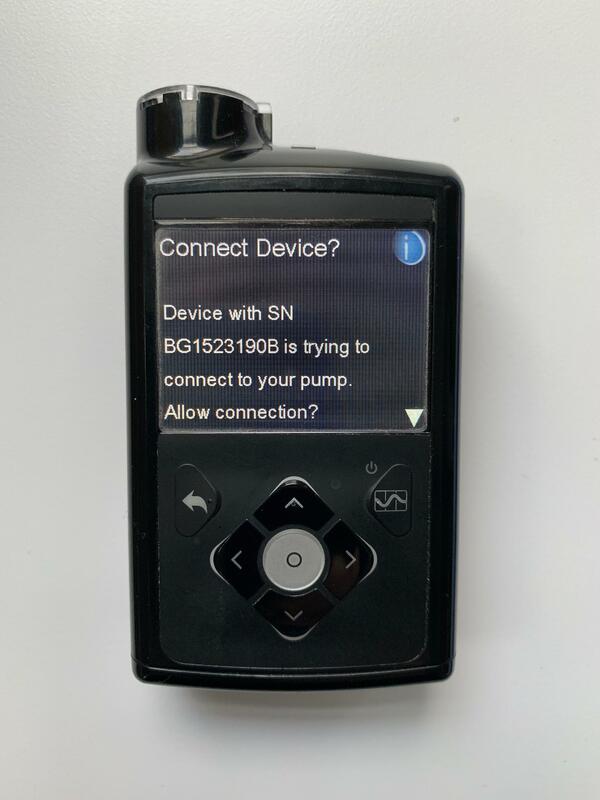 If possible, clear all pump error messages prior to uploading your Medtronic 630G, 640G, or 670G insulin pump. 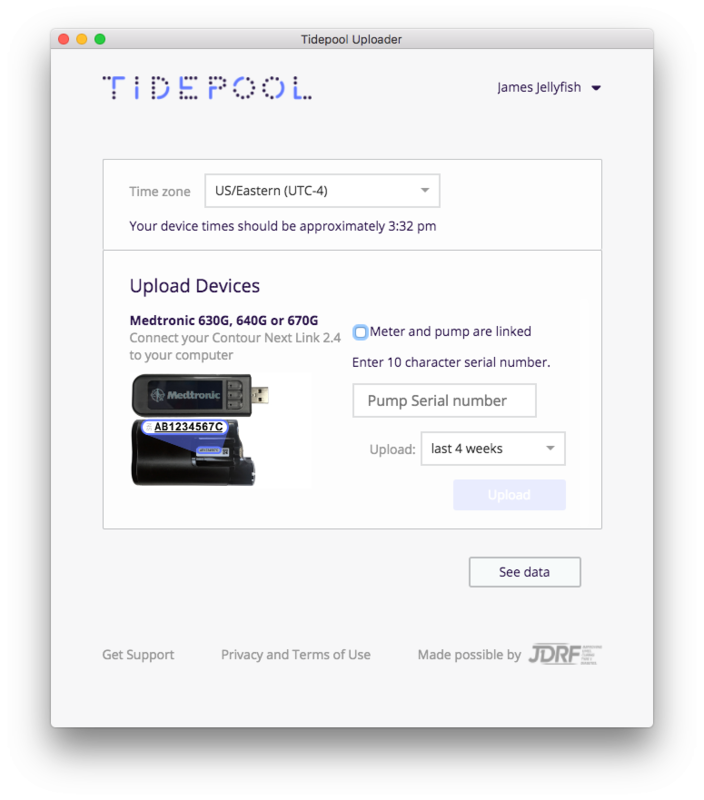 If you are seeing an error repeatedly after trying to upload your Medtronic 630G, 640G, or 670G insulin pump, please copy the error message text or capture a screenshot of the error message and contact us at support@tidepool.org so we can diagnose the problem. 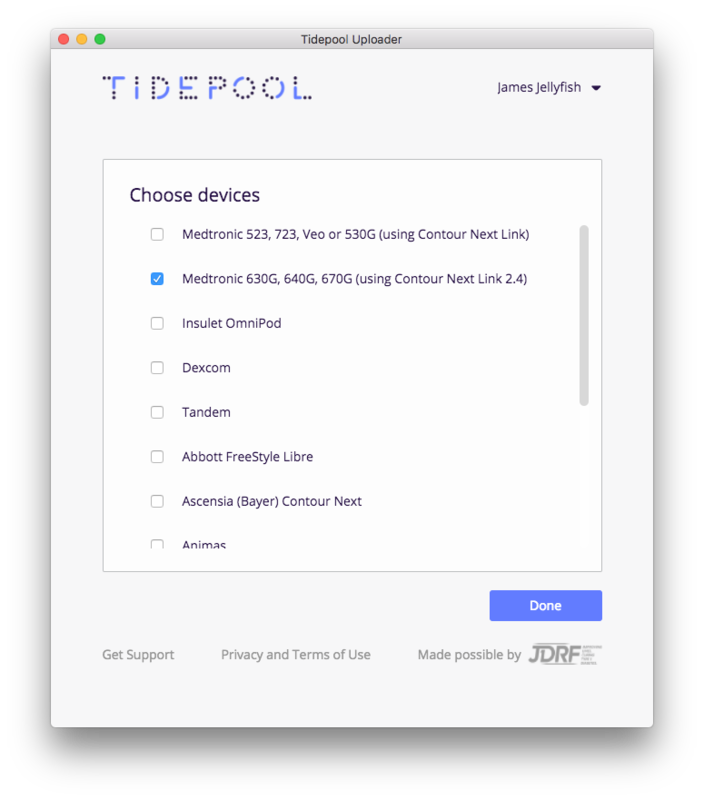 In addition to supporting Medtronic 630G, 640G, and 670G insulin pumps, Tidepool is currently compatible with Medtronic 523, 554, 530G, 723, and 754 insulin pumps. You can read more about uploading those pumps here. You can read more about how we visualize Auto Mode data for Medtronic 670G insulin pumps here.